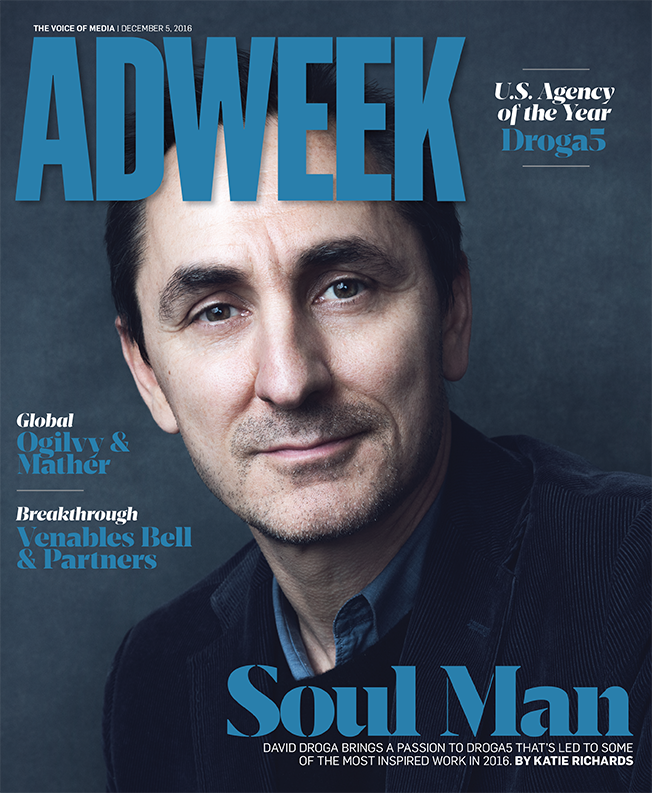 Using the fingers on just one hand, David Droga argues, you can count the number of agencies that possess a "strong soul." These are "the ones that are consistent, retain people and do some of the most interesting work," Droga says. He, of course, counts his own agency, Droga5, as one—which some might dismiss as a mix of idealism and ego by the agency's founder and creative chairman. But even Droga's critics—who frequently sigh and roll their eyes at each mention of his name—would have trouble arguing that he's wrong. Walking the halls of the agency's crowded Wall Street headquarters and talking to its ever-growing staff, it's easy to see that soul soaked into everything from the work on display to the conversations around Droga5's communal dinner table. The 675 employees (at last count) include a mix of young talent eager to prove themselves at the industry's hottest shop alongside those who have been with Droga since his earliest days as a disruptive force in the agency world. That soul may have been at the heart of Droga5 since the agency's inception, but it was certainly in full bloom this year. Droga5 enjoyed a 2016 that any agency would envy. It created some of the marketing industry's best creative work in recent memory, won a litany of top-tier clients (occasionally even without a review), swept up 66 major industry awards and grew its revenue an impressive 35 percent. 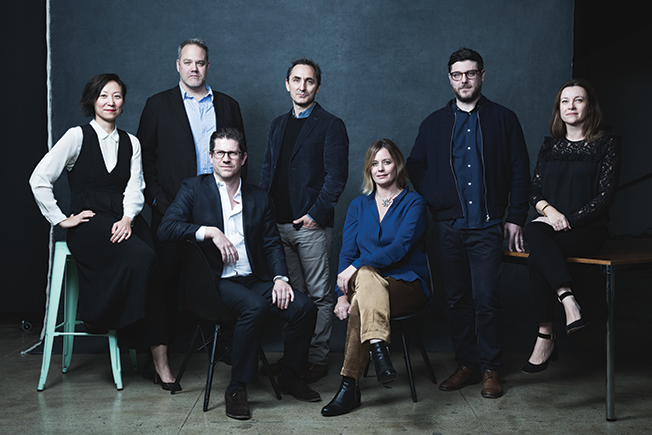 The combination of all these factors made Droga5 a pretty easy choice for Adweek's U.S. Agency of the Year for 2016. Droga5's strong revenue growth only served to let the agency enhance its capabilities too. Increasingly, the agency is bringing more resources in-house to deliver results for clients faster. It expanded Droga5 Studios—the shop's own production studio that worked on the latest Google Pixel spots—and offered up its own media planning services (a team that's eight people strong) to work on quicker, nimbler projects. You won't see Droga5 pulling everything in-house, though. "That would be foolish," Droga says. "But again there are times when the best way to test something is to prototype it. We're just trying to make ourselves more relevant." That's why the agency continues to build its internal studios on the second floor of its office. Dedicated to the shop's makers and thinkers, the studio includes everything from edit suites to VR experimental rooms, "all the sort of stuff to shorten the distance between getting things out of the creatives' heads and into the world," Droga notes. The year also saw Droga5 boost its client roster, with the addition of Pizza Hut, Trident, AB InBev's Best Damn, The New York Times and finally Sprint—which alone spent $763 million on paid media in 2015 and Droga5 won from Deutsch without a review. When it does pitch, Droga has an important restriction—he won't show work that's more than a year old. Droga believes clients trust an agency more when the work is current. It also inspires the team to continually deliver best-in-class advertising. "We aren't going to trade off past glories," he says. Droga5's only client loss of 2016 was Toyota when the car discontinued its Scion brand. That said, it also opted to part ways with a handful of clients including Diet Coke and Newcastle parent company Heineken in order to pursue work with competitor brands. "We have been really thoughtful about portfolio management," says Sarah Thompson, Droga5's global and New York CEO. After winning Chase last year, the agency added Chase Sapphire and Chase Freedom, while also expanding its work with Google. Adds Droga: "We win more business, not because of pitching but because clients say, 'We like the work you're doing.'"